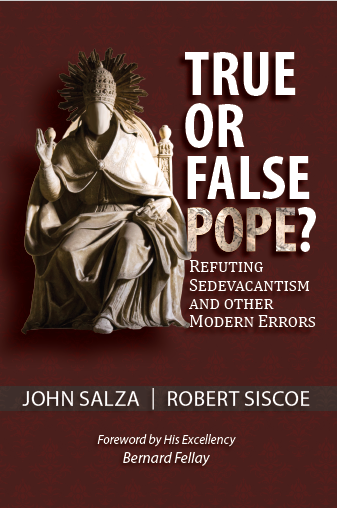 BOOK REVIEWS OF 'TRUE OR FALSE POPE? Order now, books shipped the next day. NOTE: The authors are currently sold out. 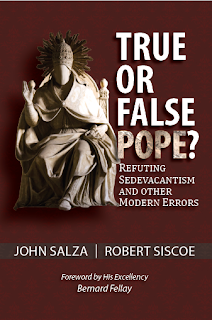 The book can still be purchased from Amazon or directly from the publisher, St. Thomas Aquinas Seminary. To pay by check, click here. Note: If you plan on using an email address or a credit card that is already associated with an existing PayPal account, you will have to login to PayPal. If you don't wish to login to PayPal to pay, then please use another email address and use another credit card that is not already associated with a PayPal account. Sorry, this is PayPal's rule, not ours. Copyright © by John Salza and Robert Siscoe. All Rights Reserved. Web: Laurence Gonzaga. Travel theme. Powered by Blogger.